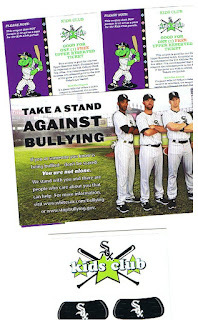 This is a cross-post from my new blog, Chipp' 'n' Dale http://thehomeofthebraves.blogspot.com/. It was originally posted 5/11/12. 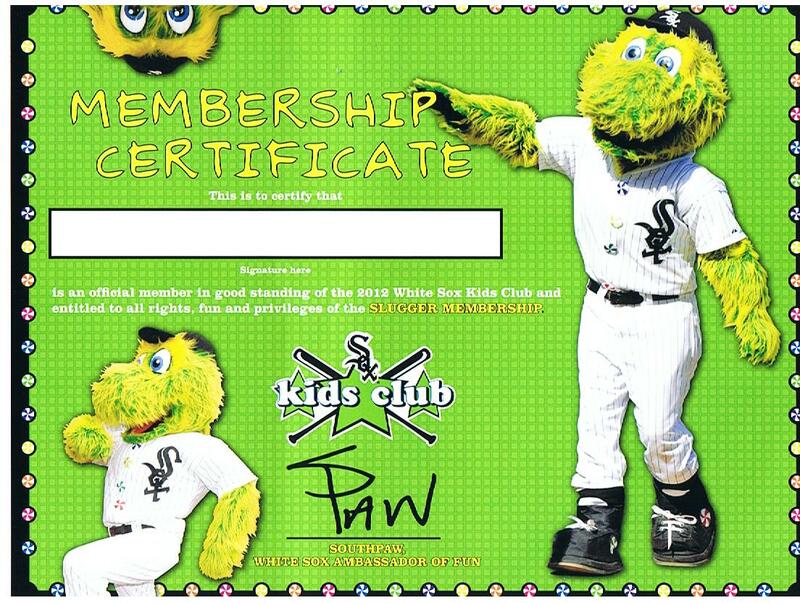 Signed the little brother up for ﻿the (free) Chicago White Sox Kids Club for this year. I think I sent in the request in February or sometime then. 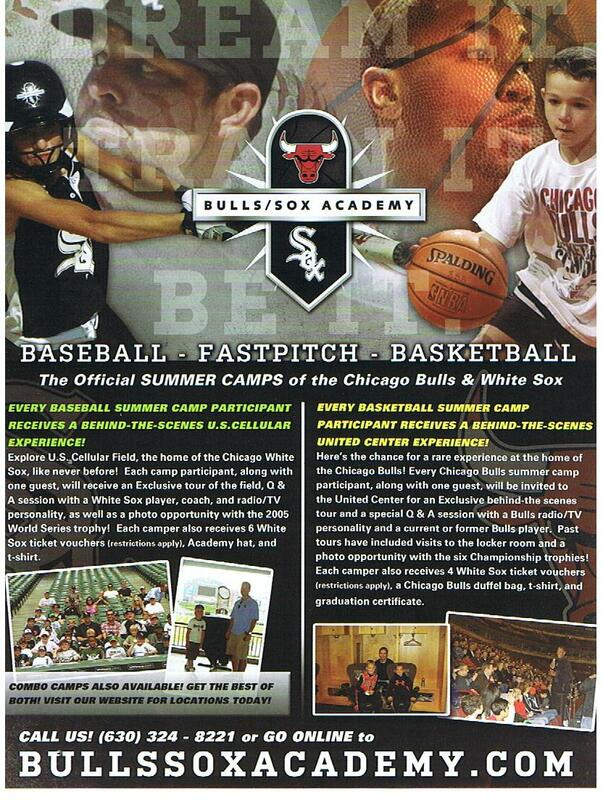 Just yestiddy, though, we received a packet in the mail from the Sox. When asked if he wanted the swag, my brother gave a conclusive "no." It had some interesting things, actually, like this Paul Konerko "Fathead" sticker thing. 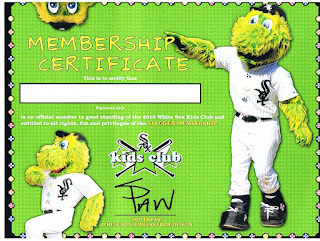 The Sox logo and kids club logo are also stickers. Oh yeah, and some eyeblack stickers. Don't wear those for NCAA Football, though, kids! 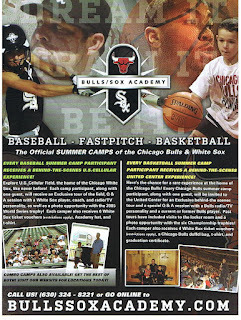 A flyer for the White Sox and Bulls Summer Camps, aka "Jerry Reinsdorf Little League pro day." But here's the real goody. 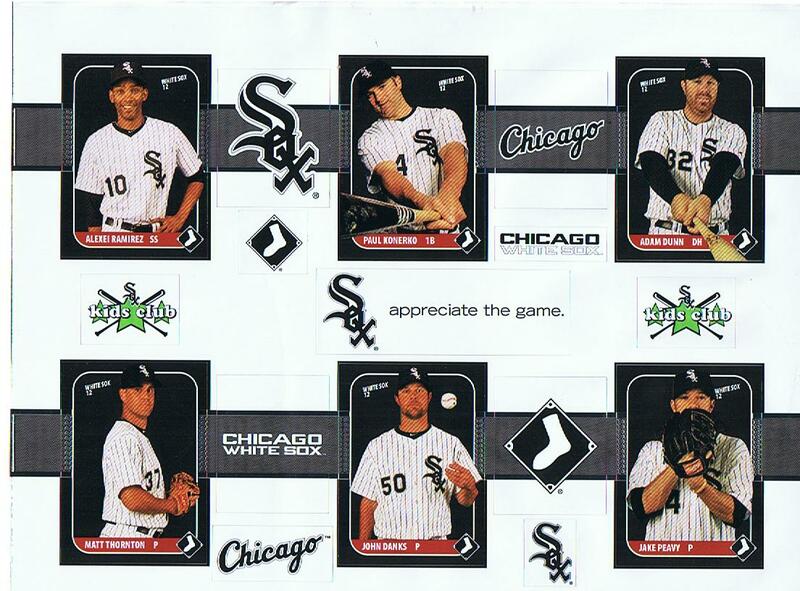 A White Sox sticker page! 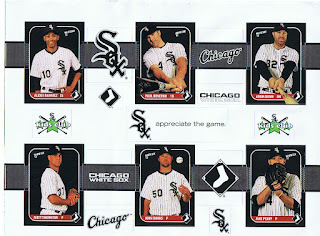 Think 2012 Topps stickers, but a team issued set of players! 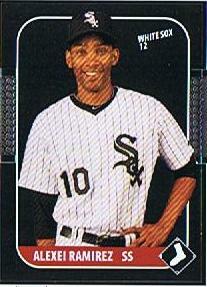 (They're small in comparison to cards, too.) And check out the design! 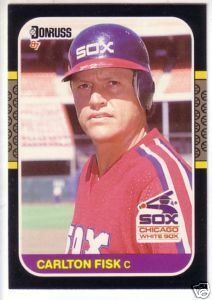 1987 Donruss, anyone? !﻿ The design used for the stickers is actually a nice spin-off, I think. Sharp team colors, and a conspicuous absence of that 1980's look of red, white, and...navy? Cool stuff. So that's that. Wouldn't find this in a fan pack! 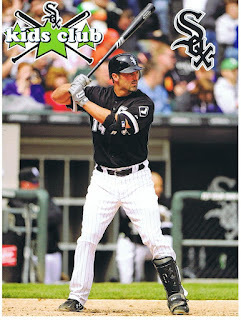 Definitely some cool stuff, and hey, who would've known there's a throwback team set that's not from a Topps year design?